Finally the mystery is unveiled & one of the most kept secret of the year 2013 is announced. 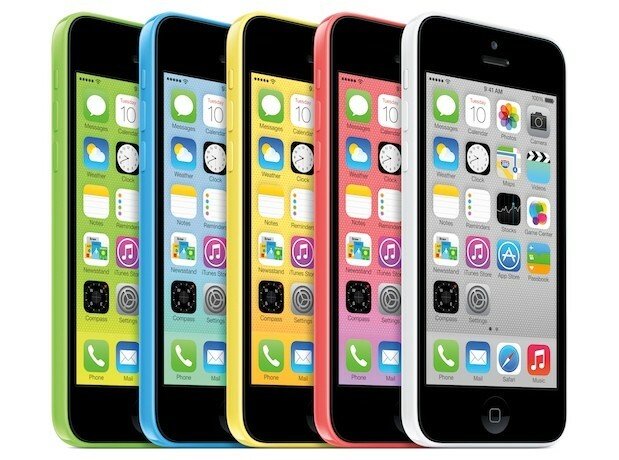 Apple iPhone 5C is revealed to the world & is expected to hit the shelves in September 2013. Apple has this time around announced yet another smartphone Apple iPhone 5S (again eagerly waited smartphone), breaking its routine of launching only 1 smartphone in a year. Will be discussing the specifications of Apple iPhone 5S in another post, for now lets get back to Apple iPhone 5C. This smartphone from the American electronics giant has almost the same specifications like its predecessor Apple iPhone 5 with few changes. Apple iPhone 5C sports a 4 Inch LED backlit IPS LCD Capacitive touch screen with multi touch. It is a 4G / LTE smartphone with support for CDMA and GSM network. The display is brilliant as it packs in a resolution of 640 x 1136 Pixels, ~326 ppi pixels density, 16 M Colours. There is not much clarity on Corning Gorilla Glass Protection and Oleophobic Coating, it seems that Apple has this time skipped on it to cut down the cost, as the main idea of Apple iPhone 5C was to reach the masses. Dimensionally this smartphone is marginally bigger & thicker than its predecessor as it measures 124.4 x 59.2 x 9 mm (4.90 x 2.33 x 0.35 in), while it has also put on significant weight as compared to Apple iPhone 5 because this smartphone weighs 132 gms (4.66 oz) & here comes the most welcome feature of Apple iPhone 5C, Apple has shunned its trademark Black & White colours and has added five flavours to this smartphone viz; White, Blue, Green, Yellow, Pink. That is all about it from the exterior, while under the skin of this stylish looking Apple iPhone 5C is a Dual Core 1.3 GHz Processor, Apple A6 Chipset, PowerVR SGX543MP3 (triple core graphics), 1 GB RAM. Technically Apple has just copied and pasted the specifications from its predecessor, so if you own an Apple iPhone 5 then you aware of its performance and for others its an 'Apple product'. There are no points in guessing that this smartphone will come out of the box with iOS v7.0. Apple has loaded this smartphone with optional internal memory of 16 GB / 32 GB. The data connectivity aspect of Apple iPhone 5C features Wifi, Wifi HotSpot, Bluetooth v4.0 with A2DP, microUSB v2.0. For positioning Apple has packed in a GPS with support for A GPS and GLONASS. On the rear panel of this colourful smartphone is a 8 MP Primary camera with LED flash light, auto focus, simultaneous HD video and image recording, touch focus, geo tagging, face detection, HDR, Panorama, HDR photo, video stabilization. This Primary camera is capable of clicking images of 3264 x 2448 Pixels resolution and record HD videos of 1080 P @ 30 fps. On the front panel is a 1.2 MP secondary camera with face detection and face time over Wifi or Cellular. This secondary camera can also record HD videos of 720 P @ 30 fps. Apple iPhone 5C has packed in a Non-removable Li-Po battery of 1510 mAh (5.73 Wh).